Have You Experienced Bipolar Terrors? Christine writes about mental health/mental illness in her column, Forever Different, where she shares from her own experiences as someone who has bipolar disorder. 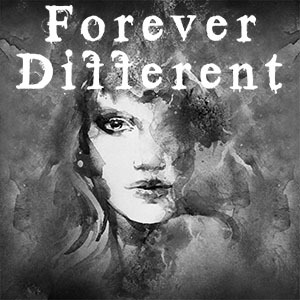 Christine has also started a Facebook support group for those with Bipolar Disorder: www.facebook.com/groups/foreverdifferent. If you are bipolar, you are no stranger to terrors, the most common of which are night terrors. Usually within your first hour of sleep, you’re awakened by a very vivid very real nightmare: a night terror. You may say, “Well, kids have nightmares, adults have nightmares. They’re just nightmares.” However, a terror is usually reminiscent of something that has actually happened to you, so it may be a recurrent memory. Night terrors are similar to post traumatic stress disorder (PTSD), which is caused by something traumatic or extremely stressful that has happened to you in your past. Those are usually the cause of night terrors; but now I’d like to address day terrors, about which comparatively little is known to the general public. Day terrors are very similar to night terrors, except you’re awake. It’s like having a flashback—having your mind replay a traumatic incident. It creates an overwhelming feeling of doom, so that you feel powerless, and imprisoned where you are. If, for example, you’re at home, you may feel that you cannot go outside because you are not safe. If it happens to you at work, or out shopping, the feeling of doom and terror can be completely debilitating. However, there are things that you can do to overcome the terror. First is medication. I hope you are already seeing a psychologist or psychiatrist. She or he can prescribe appropriate meds. A good therapist can also teach you to focus on the positive, rather than staying in the rut of negative thoughts. Once you are able to turn your feelings into positives, you can get a handle on what you are feeling so that you are able to process it. So, the next time you feel an impending day terror, take yourself to a quiet place, turn the lights out, get centered in yourself, and start to talk yourself out of it: “This is just momentary, it is going to pass. What I feel is not real. My own psyche is playing tricks on me.” Repeat that over and over again, until you calm down. One of the best things you can do is to learn some breathing and meditation techniques. This may sound very New-Age, but it works. Getting centered and quiet in yourself will help you make it through the terrors. Check out KRL’s Mental Health section for more mental health related articles, and watch for more from Christine. Christine F. Anderson is CEO at Christine F. Anderson Publishing & Media www.publishwithcfa.com and is author of Forever Different: A Memoir of One Woman’s Journey Living with Bipolar Disorder. She currently is an Ambassador and sits on the marketing committee for the International Bipolar Foundation and in her spare time she does animal rescue and is writing her second book. You hit the nail on the head with this one! I struggled with these while symptomatic, but fortunately, my meds have kept me stable for a long time. Thank you for sharing such a helpful and informative article.